Rigged in Autodesk Maya 2017. 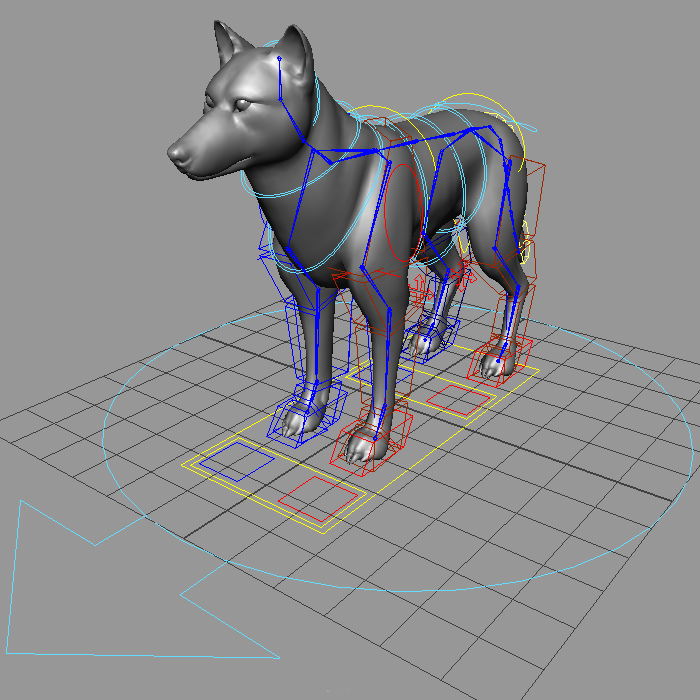 This quadruped rig has a spline IK head, neck, and back, a simple FK tail rig, IK/FK switching on the legs and set driven attribute controls for the feet. Painted skin weights. Model from 3dmotive.